My favorite Podcast currently is KFC Radio (@ Feits and KFC you’re welcome for the continuous free marketing, please hire me now) and I introduce to you the newest segment on my blog; Answering KFC Radio Hypotheticals. A huge part of the podcast are listener voicemails that ask the wackiest of hypotheticals and would you rather questions, so every week I will pick a hypothetical or would you rather and dive in and give my thoughts. This week: You can pick any TV or Movie character to put into The Purge, who do you pick? The first thought immediately goes to someone violent that you know for a fact would murder and/or pilage aplenty, their first reaction was Denis from Always Sunny. The thought of anyone from the Always Sunny Cast in a purge is quite hilarious. I’m unsure if it’s because I’ve been rewatching New Girl, or if I truly think this would be a hilarious situation, but if I had to pick one character it would be Schmidt from New Girl. 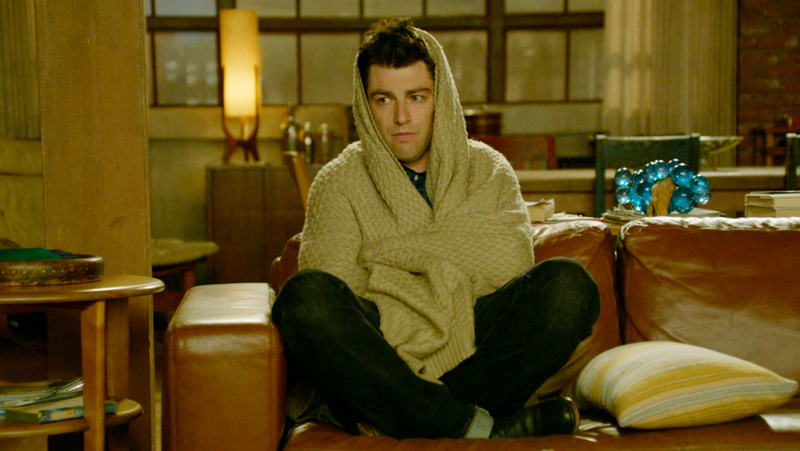 Schmidt is equal parts always prepared and equal parts the biggest mess of the show. He’s smart but also a huge idiot, and the best part about Schmidt is that he thinks he’s perfect, making him the BEST candidate for this hypothetical. He’d start off the night all sorts of prepared, he’d lock down the loft, making it an impenetrable fortress. I’m picturing him ready to fight and kill the second midnight hits, and then less than a minute later, he’s got his tie around his head, he’s covered in dirt, clothes are ripped, and he’s sobbing in the corner in the fetal position. I think depending on when this purge was to take place, Schmidt would do different things. If he wasn’t with Cece and Cece had been dating someone else he would take this opportunity to do something wild to him, not murder or anything, probably something dumb like breaking into his house and switching all of his shampoo and conditioner to 2 in 1 shampoo or something. If he WAS with Cece he would make her tell him anyone that had ever hurt her and he would again, try something wild, maybe he might actually kill these people, or just plan to and then not follow through with it. He’d get stressed out halfway through and just start screaming and babbling and profusely apologizing. With the entire cast in The Purge, Schmidt would attempt to be the leader, fighting with Coach and Nick over what the best course of action is. He’d get in a brawl with Jess over the morality of killing someone even if it is legal for 24 hours. Jess would write some stupid song about not killing people and Coach and Nick would debate the best and worst ways to kill someone. In conclusion, Schmidt would be HILARIOUS and may or may not go on a murderous rampage of all of Cece’s ex-lovers and mortal enemies. Tune in next week (or sooner, depending on if there’s a fire hypothetical or not) for another one of my takes. Who are you picking to put in The Purge? Let me know!